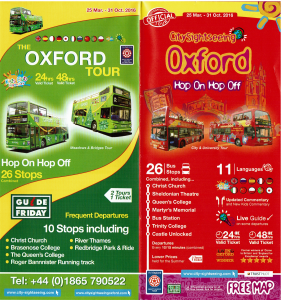 ‘Hop On Hop Off’ – a great way to see Oxford. Now stops at the Redbridge Park & Ride; only 3 minutes by car from our B&B. Walk from our B&B along the River Thames via Iffley Lock to Donnington Bridge. Takes about 20 minutes. 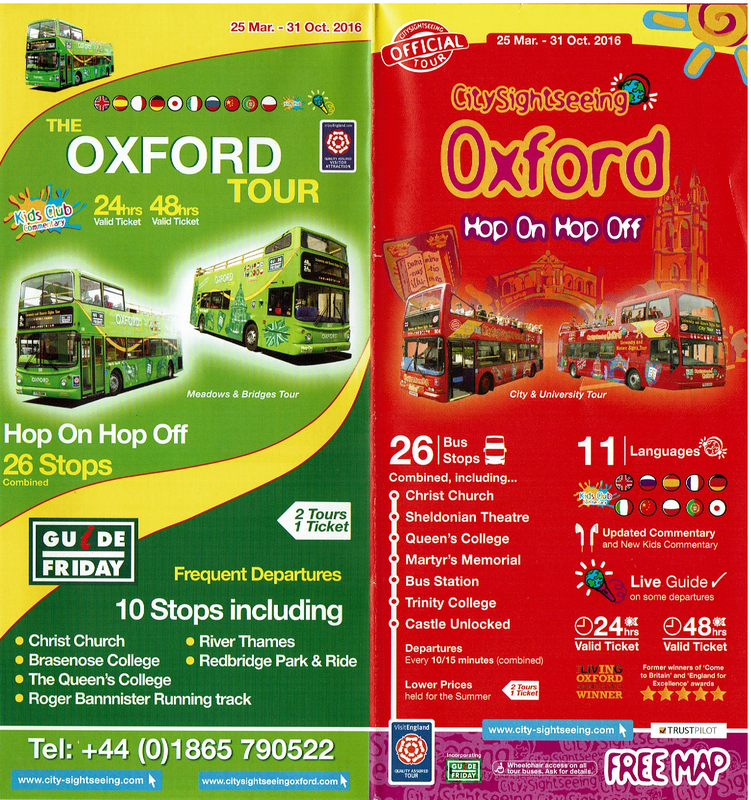 Catch the ‘Hop On Hop Off” & see or visit all the great/historic sights of Oxford. Return to Donnington Bridge, stroll along the Thames to the Isis Pub (only accessible on foot or by boat), and enjoy a drink or meal by the Thames. Walk back to the B&B along the Thames. Takes about 15 minutes. 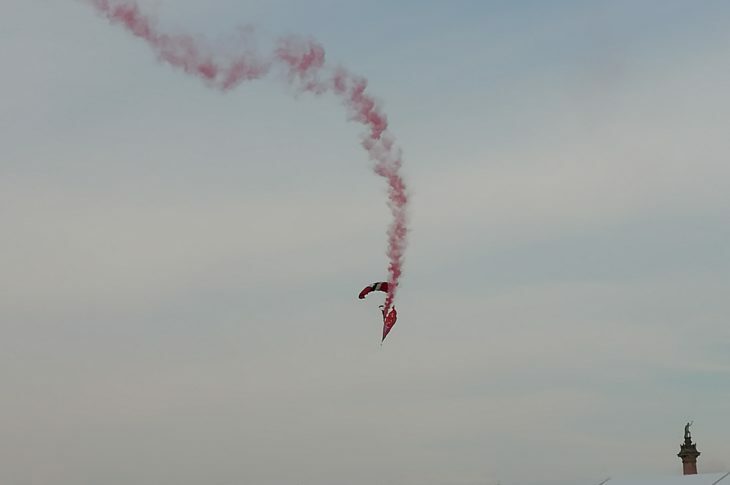 Have a look at www.citysightseeingoxford.com for more information. The city tour lasts approximately 1 hour and departs every 10/15 minutes in the summer and every 20/30 minutes in the winter. Having spent the day getting an overview of Oxford you will now be able to choose what to visit on following days. « An unrivalled ‘unique’ pastime – the ‘British Pub’.